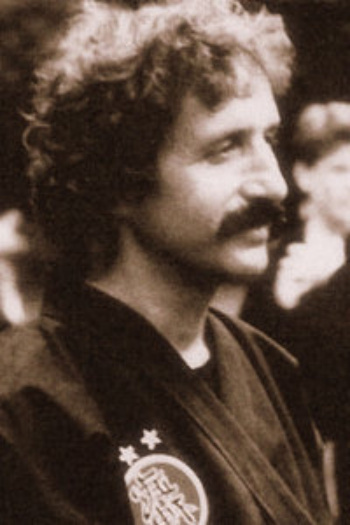 Doron Navon was the first foreign Bujinkan Shihan and the first Gaijin who passed the Godan test under Hatsumi masaki. Doron Navon (דורון נבון) started training in Judo under Gadi Skornik in Israel and was later promoted to the Olympic team. Fortunately he missed the Munich Olympic games because of a serious tournament injury. Doron was one of the first Israeli professionals who studied Krav maga with Imi Lichtenfeld and later with Eli Abigazar, the father of Krav maga in the United States. Doron traveled to Japan, studied Judo in the Kodokan and, years later passed his 4th degree Judo black belt under his Kodokan teacher. While living in Japan Doron started learning Ninjutsu under Hatsumi Masaaki sensei, the headmaster of Bujinkan school. After many years of living and learning he was awarded the Shihan (top ability) grade and the certificate to be a Dojo-cho to Israel. The first foreign Ninjutsu dojo outside Japan was opened by Doron Navon at 1976 in a rural area near Tel Aviv. Apart from intense meditation and martial arts training Doron was the first martial arts teacher who passed the Feldenkraiz instructor’s course while incorporating invaluable insights from Yoga and Judo. Doron was a personal friend of Moshe Feldenkraiz. The AKBAN Jerusalem dojo was privately tutored by Doron Navon Shihan and 7 of the AKBAN black belts passed the test under him, including AKBAN’s current headmaster. Doron has now retired from martial arts instruction and is continuing his meditational and movement practice and research in Japan.